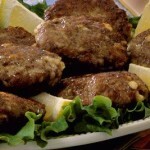 This Moroccan food recipe of Lamb Patties is great served with chili sauce. Put the lamb in a mixing bowl and add all of the ingredients except the vegetable oil and chili sauce. Blend the mixture thoroughly by hand. Shape the mixture into 8 equal size patties similar to hamburgers. 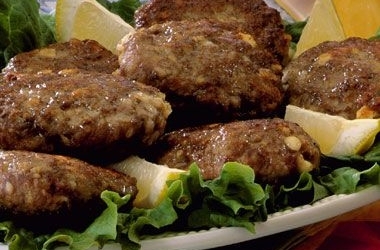 Heat the oil in a non stick skillet large enough to hold all of the patties. Two pans may be necessary. Add the patties to the skillet. Cook them over medium high heat about 3 to 4 minutes on each side. Drain on paper towels and serve with the chili sauce on the side.